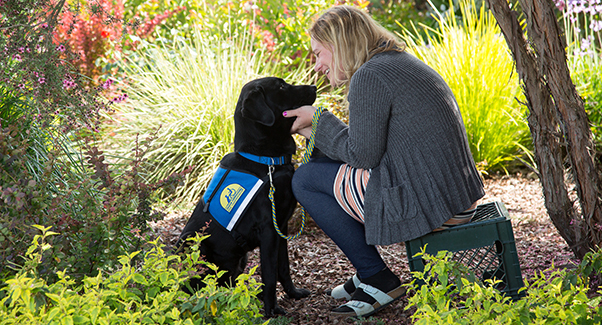 At the Jean and Charles Schulz Campus in Santa Rosa, California, Thursday is also known as “Ruth Day.” Staff and dogs alike listen for the sounds of Canine Companions volunteer Ruth, her voice rising over the buzz of a Dremel tool as she travels from office to office throughout the morning giving puppies and dogs their weekly nail care. 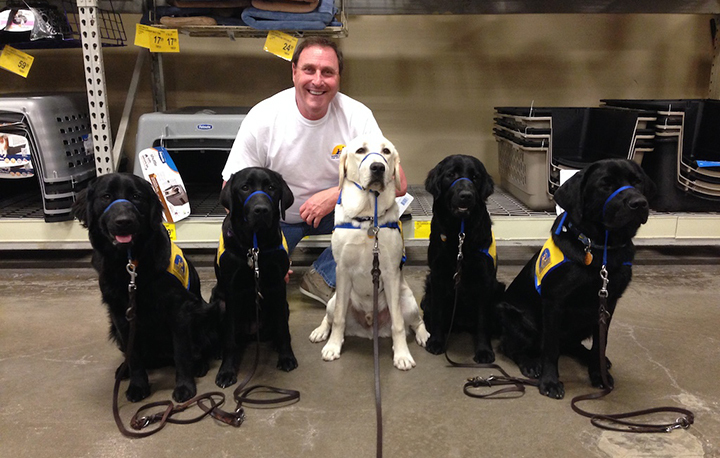 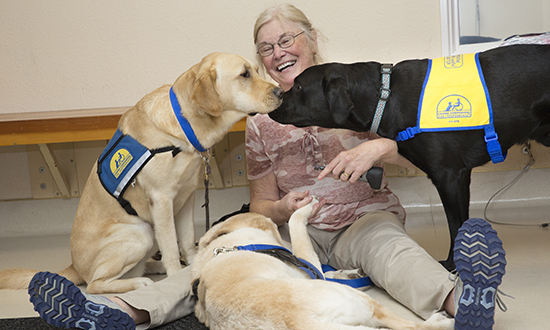 Read about Ruth's many years of volunteering for Canine Companions. 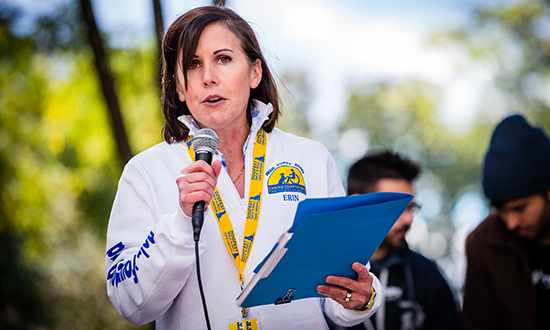 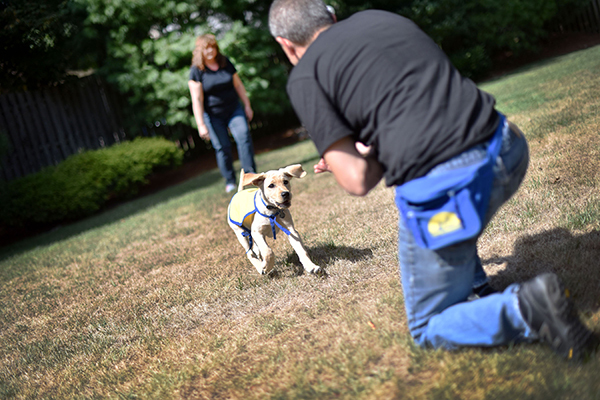 Long-time puppy raiser and former Capital Chapter president, Erin Scranton, co-chaired another successful DogFest Washington DC last year. 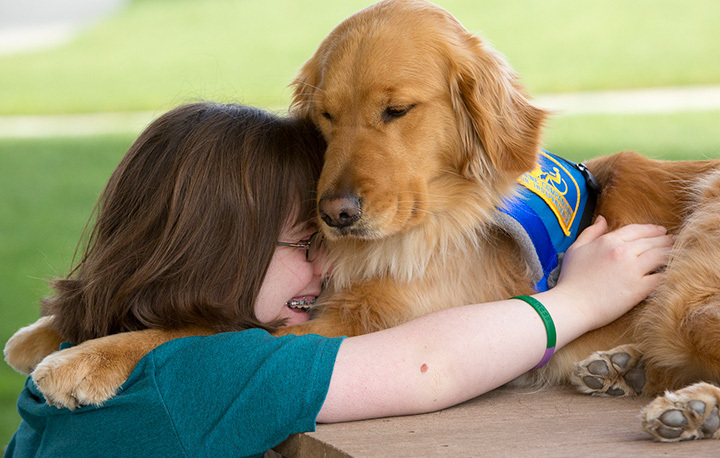 Read about how Erin's volunteer efforts go way above and beyond. 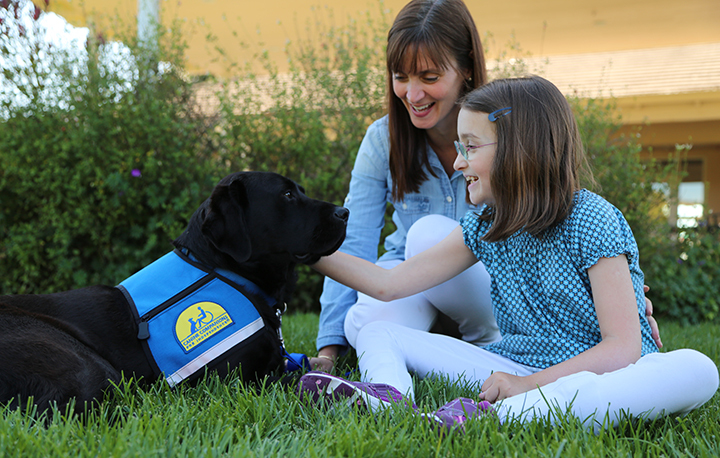 Jane can’t imagine a better place to work than Intuit in San Diego. 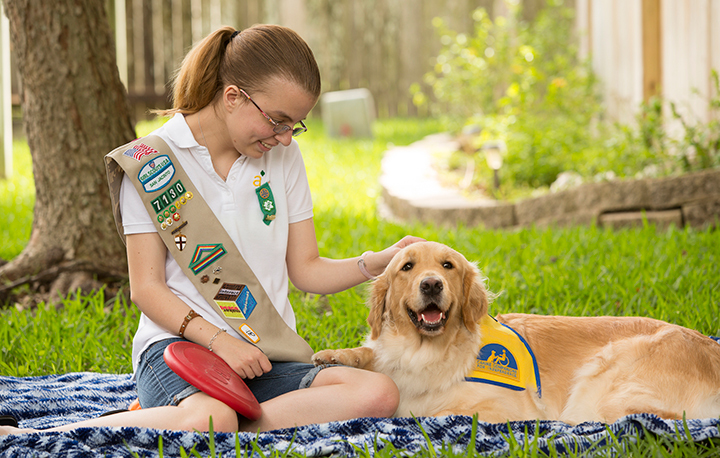 That’s because the company encourages employees to give back to their communities, and she’s a passionate Canine Companions supporter in many forms. 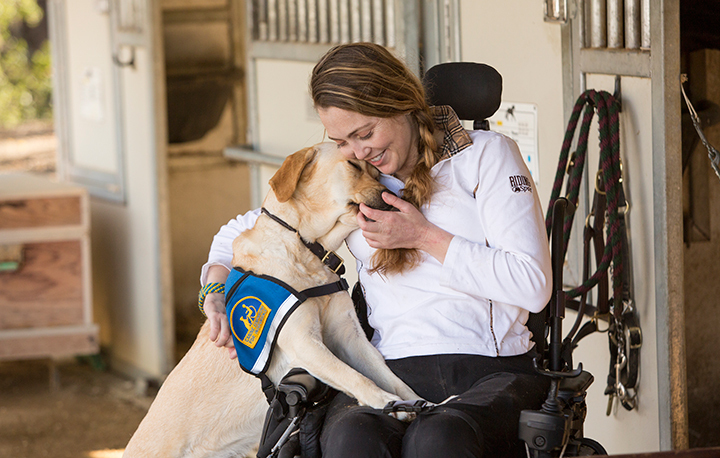 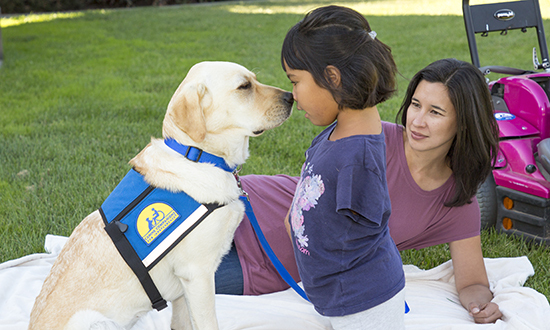 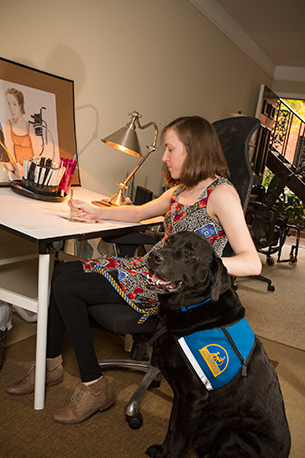 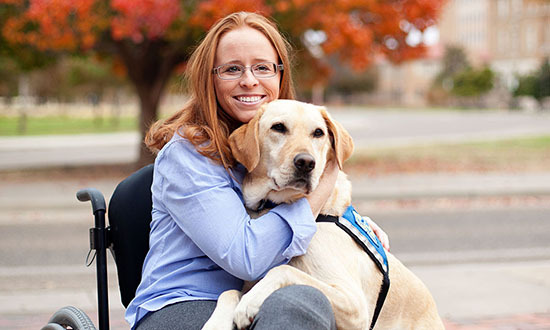 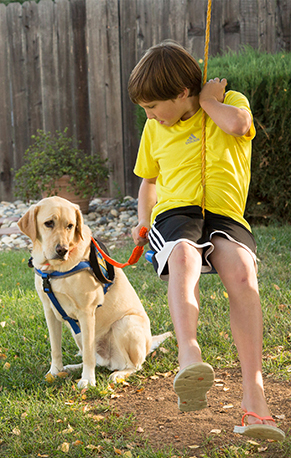 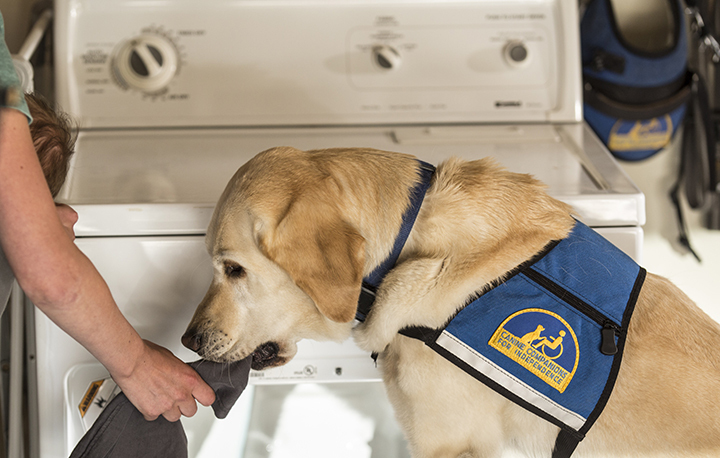 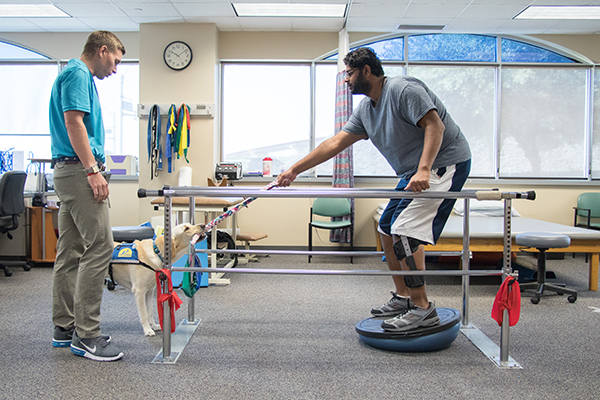 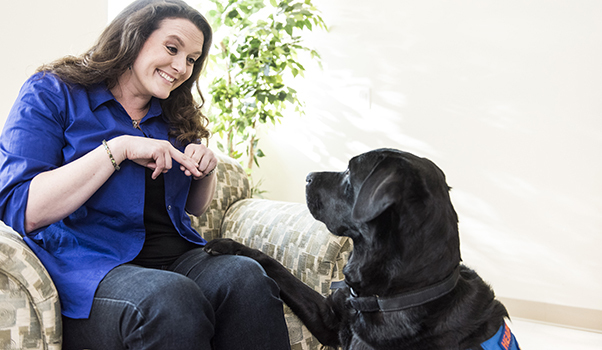 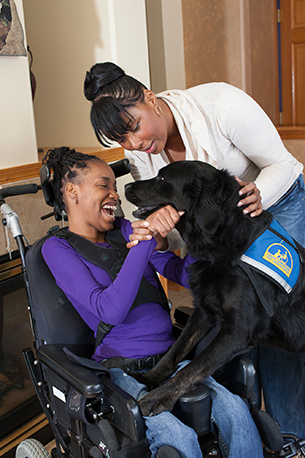 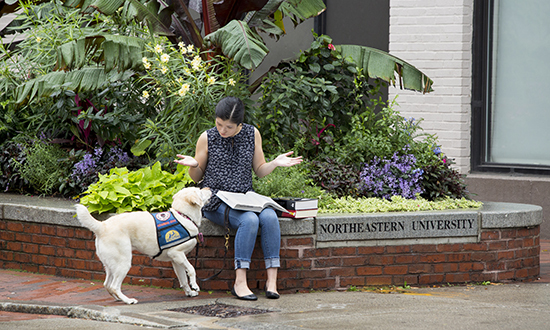 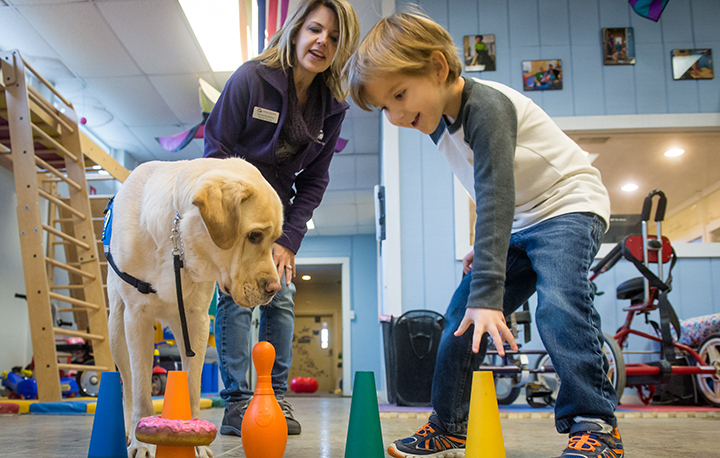 Learn how Jane volunteers with Canine Companions. 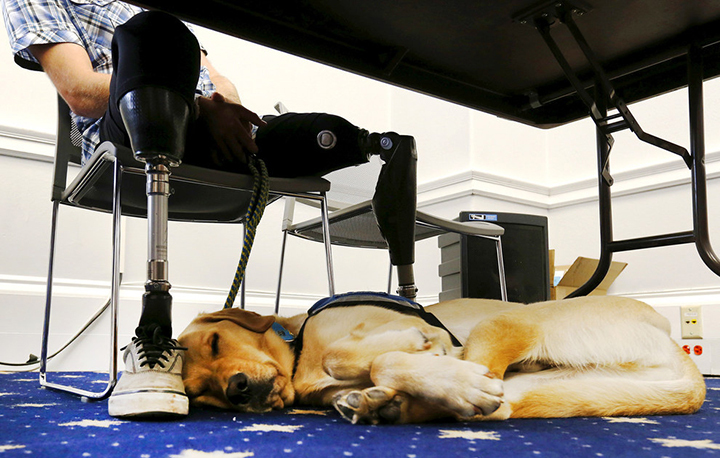 “Being in special ops, they don’t teach you very much humility. 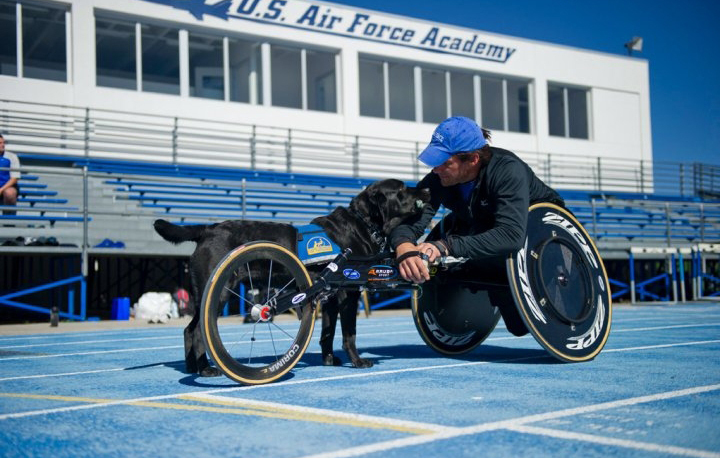 When you have that mentality, and that’s the training that has been brought to you, to really humble yourself and let other people help you is extremely tough. 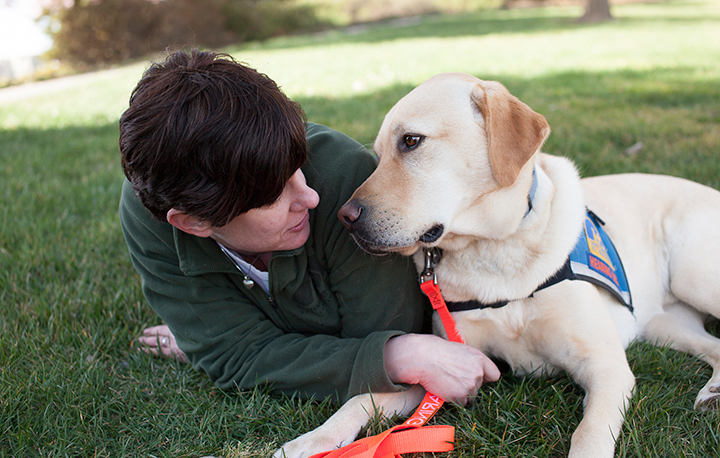 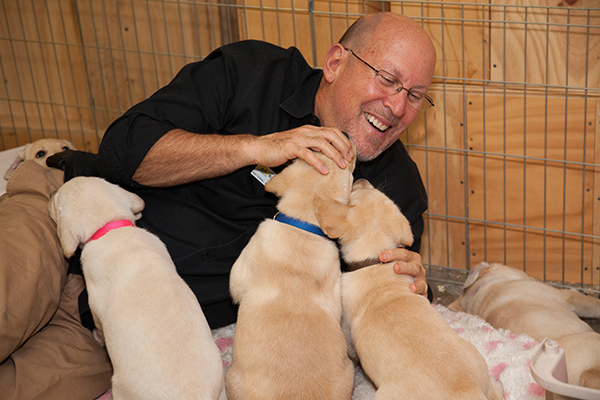 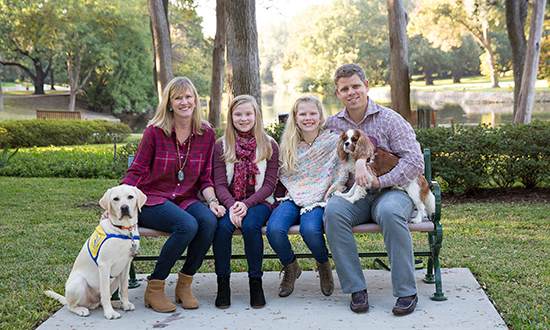 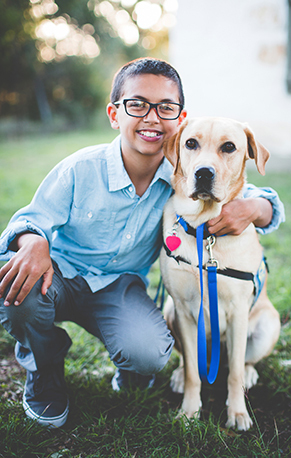 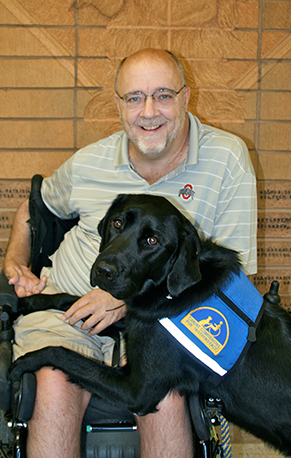 But I’m telling you, it’s so much easier for a dog to do it.” Watch Jason's full story. 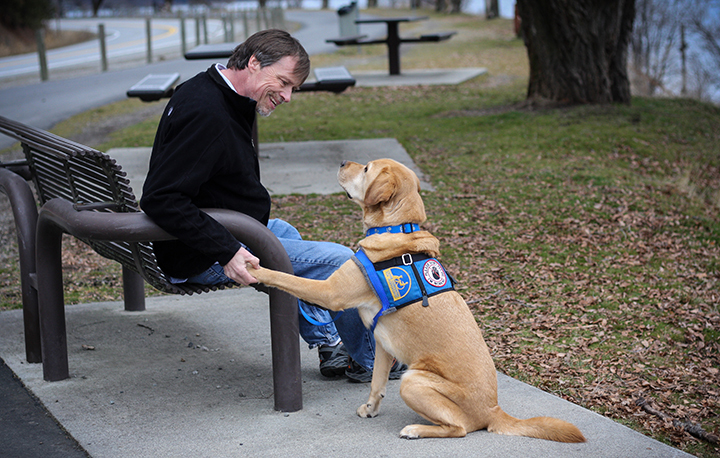 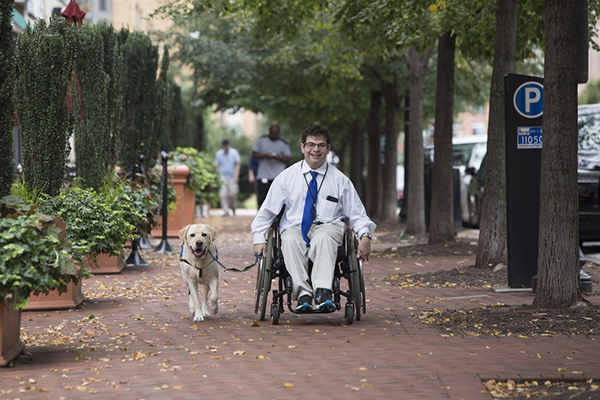 “Knoxville is an absolutely amazing service dog. 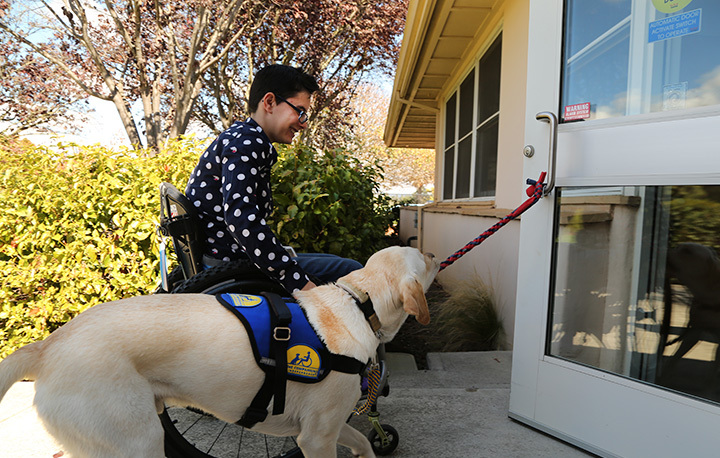 In those situations when I don’t feel comfortable with my disability, Knox is there to make me feel more comfortable.” Watch Stefan's full story here.